"A movie so bad, so inept, so unbelievably painful, it's almost impossible to comprehend anyone thought it would be great on-screen..."
"What puts "The Room" in a class of its own is its overabundant idiocy. While you're still gasping at one of the film's moronic lines or vagrant plot knots, another one rises up to smack you in the head." So bad it's actually good. The best part of this story is that The Room went on to become a cult classic...seriously. Seth Rogen recounts the first time he watched Tommy Wiseau’s movie was on Paul Rudd’s suggestion while they were filming The 40-Year-Old Virgin together. The so-bad-it's-good reaction by Hollywood is what inspired James Franco to make a movie about it. 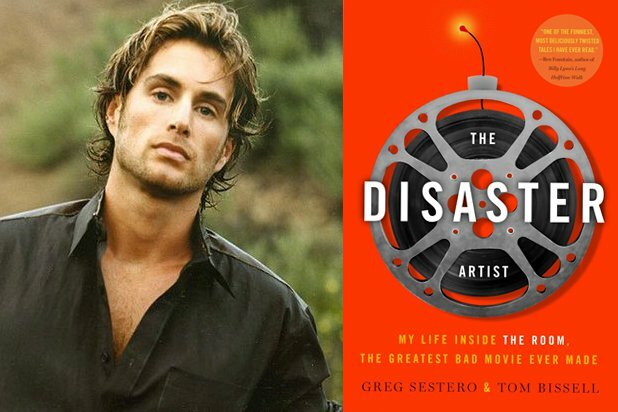 Franco later became even moreee intrigued after reading the tell-all book written by Greg Sestero (the blonde guy ^) titled, The Disaster Artist: My Life Inside The Room, the Greatest Bad Movie Ever Made. A really good movie about a bad one. The Disaster Artist hit theaters today and critics are already RAVING about it. Go see it. You'll be glad you did.